Are you like most woodturners and tired of the velcro on your bowl sander wearing out from the continuous cycle of ripping the sandpaper on & off to add another grit until the sanding Disc will not attach any longer because the velcro hooks wore down? You now have the perfect solution to that problem with the versatile Roloc System. Instead of ripping the sanding discs on & off you simply unscrew the holder from the stem/mandrel leaving that grit sanding disc on it and screw another holder on with a different grit. By replacing the holder instead of the sanding disc, not only does the holders velcro last a lot longer it also increases the sanding disc life. Just keep the same sanding disc on the same holder until it finally wears out and then replace it. Just incase you damage the holder or finally do wear out the velcro, the package includes replacement hook velcro with industrial adhesive backing to fix it. The package also includes a 10mm thick intermittent pad for extra softness for tight curves on smaller projects. You can also use a 3" holder on a 2" stem/mandrel for extra flex. 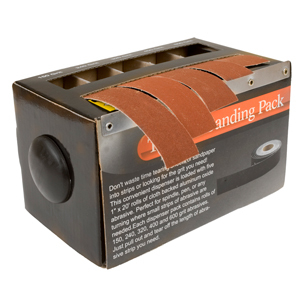 Lastly, if you need to do some hand sanding, these holders are easy to grab and will get into the tight spaces. Save time and save money! All these items sold separately would easily cost nearly $200 elsewhere making this deal a no brainer. The Scuff & Buff Balls take the rigorous work out of hand sanding your woodworking or wood turning projects. 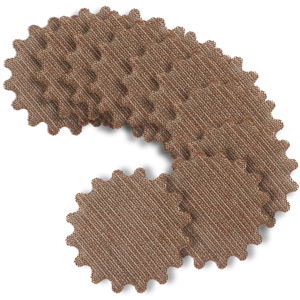 The Wavy-Edge Scuff & Buff Ball is made of individual layers of non-woven material with the patented wavy-edge design. 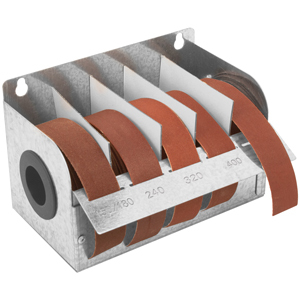 The wavy-edge layers are assembled and compressed into a ball, which is then mounted on a 3-1/2" long drive shaft for use with power tools. They wavy-edge allow the ball to reach into tight spaces, with an overall ball shape that conforms to the work piece, with versatility and flexibility. 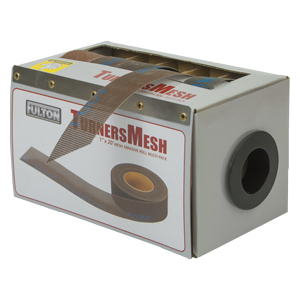 The Material allows highly efficient airflow, resist clogging and are easily cleaned with water or compressed air. The Scuff & Buff Ball Replacement Pads come 10 each to a pack. Just unscrew the shank, remove old pads, add all 10 new replacement pads to shank and tighten back down. An extremely handy addition to any turner's armory, the Sandmaster is used in conjunction with a lathe to put a fine finish on turned pieces. It eliminates the unsightly lines often associated with traditional hand sanding. As the disc is spinning it also reduces the clogging of the abrasive. 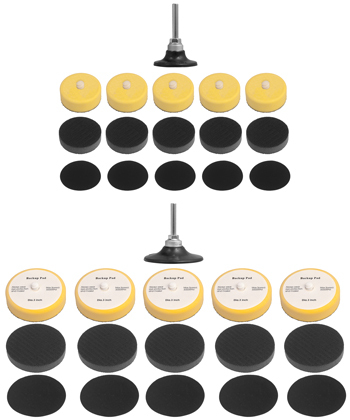 The Sandmaster comes complete with a velcro covered 2" sponge pad which allows for the easy changing of abrasive discs. A variety of grits - from 60 - 400 - of aluminum oxide disc can then be quickly attached. The adjustable head which runs on a durable phosphor bronze bushing lets the turner reach even the more inaccessible spots. As an optional extra, a 3" head and discs can be easily fitted for greater efficiency. The Sandmaster becomes an even more versatile tool when the head is removed and replaced by a pigtail mandrel and goblet or bowl mop. 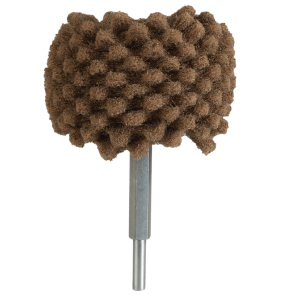 Made of fine grade cotton these mops are an ideal medium for buffing waxes and other finishes. 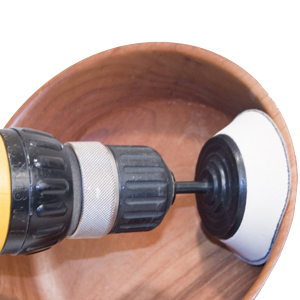 This Bowl Sander is powered by applying it’s rotating sanding head to the stock at an angle to start it rotating. The advantage of the bowl sander is that the rotating head does not leave straight abrasive marks around the work like hand held sandpaper. Also it’s adjustable 2” head can be positioned in hard to reach areas. Works with 2" hook and loop sand paper disc. Comes with 10 assorted disc. Our Bowl Sanders Kits are perfect for getting in those tight radius that regular sanders cannot. 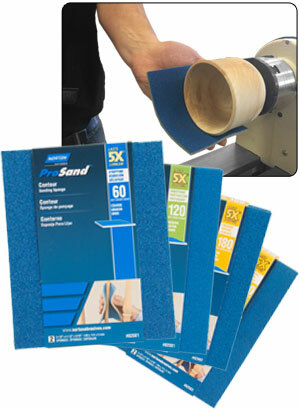 A soft sponge on the Bowl Sander allows the sandpaper to conform to the shape you are sanding. This in combination with the spinning mandrel help produce wonderful finishes to your turned bowl or even spindles. Used by bowl turners and by anyone who needs to smooth out small details. The hook and loop discs are lubricated to resist loading. The body is made of a full resin composite material to stand up to heavy use. The Bowl Sanders Kits come in 3 different sizes: 1”, 2”, and 3”. You can save some money by purchasing the Master Bowl Sander Kit or the Master Platinum	Bowl Sander Kit. Our Bowl Sander Mandrels are perfect for getting in those tight radius that regular sanders cannot. 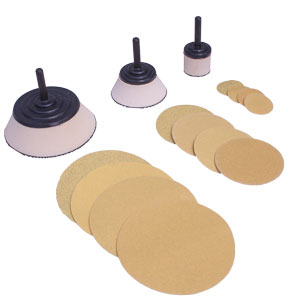 The soft sponge on the Bowl Sander allows the sandpaper (sold separately) to conform to the shape you are sanding. This in combination with the spinning mandrel help produce wonderful finishes to your turned bowl or even spindles. 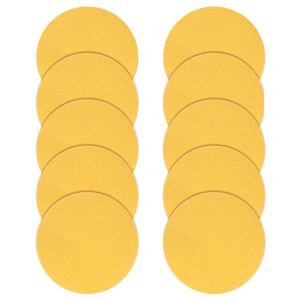 The 1", 2" & 3" Bowl Sander Disc Refills come in 80, 120, 150 & 220 grit and include 10 per pack. 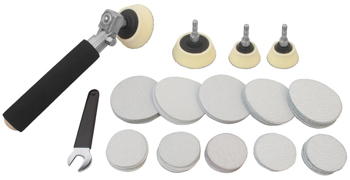 These disc work with the Bowl Sander Kits, Master Bowl Sander Kit and the Master Platinum Bowl Sander Kit. These Disc are also compatible with any hook and loop mandrel or bowl sander of comparable size. 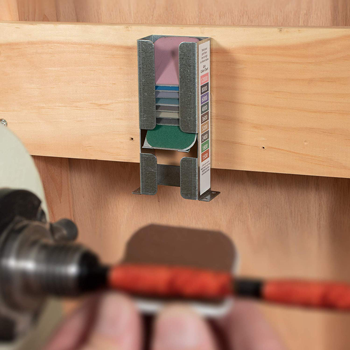 These backing pads protect your disc holder by mounting between the holder and sanding disc. In the event a disc spins off the holder, the backing pad will prevent damage to the disc holder. 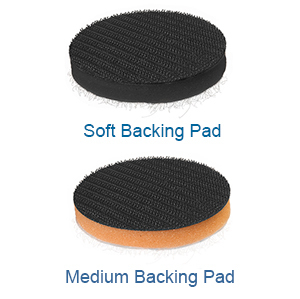 These backing pads work with exactly the degree of stiffness and resilience that best suits the job at hand. Designed for Hook & Loop disc and pads. 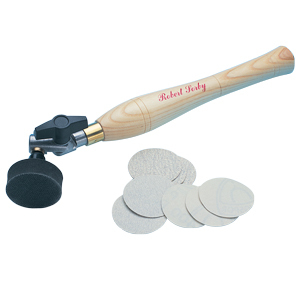 The Soft Backing Pad is designed to use in areas where you need tighter angle sanding and/or for smaller projects. The soft pad can also be used for getting into areas where there is a lot of detail work. The Medium Backing Pad is used on softer angles/curves and can get into the lighter detail work. The medium backing pad gives you a little more stiffness than the soft backing pad, but is softer than the bowl sander mandrel. 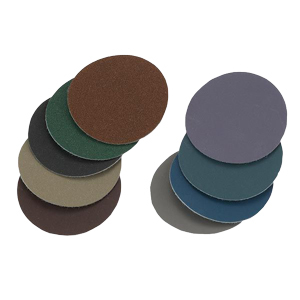 These 1”, 2” and 3” bowl sanding discs are a incredibly fine abrasive that are perfect for virtually any type of contour sanding. Wood Turners use them for a polish sheen and a beautiful lustrous finish coatings. Use for bowl turning or any small project. Hook & Loop Disc. 1 ea. 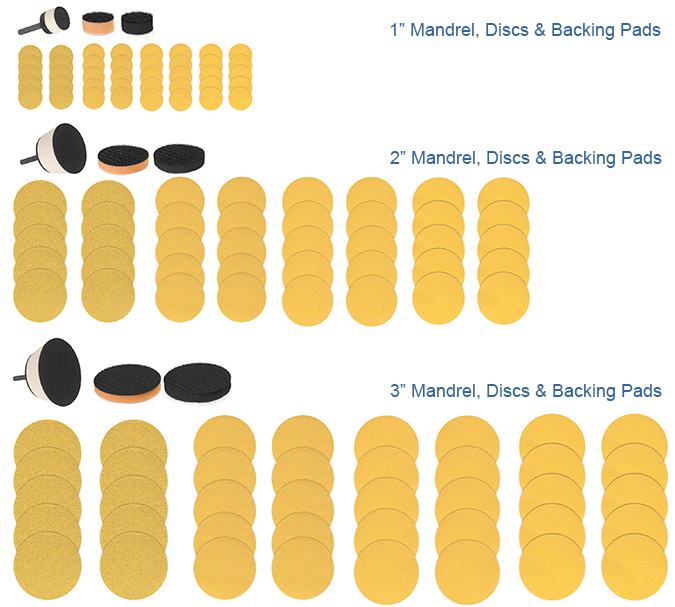 1500, 1800, 2400, 3200, 3600, 4000, 6000, 8000, and 12000 grit disc. 2 ea. 1500, 1800, 2400, 3200, 3600, 4000, 6000, 8000, and 12000 grit disc. 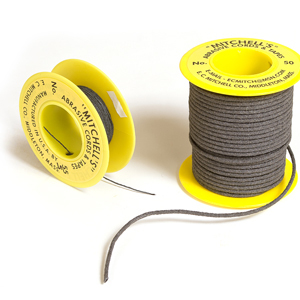 This kit is designed for craftsmen to replace the use of steel wool, rottenstone, or pumice. May be used on bare or finished wood. An excellent way to spot match finishes. Can be used wet or dry to achieve matte, satin, or high gloss finishes. The more you get into to woodturning the more the reality of being organized comes into play. This couldn't be more true than when it comes to our abrasives. 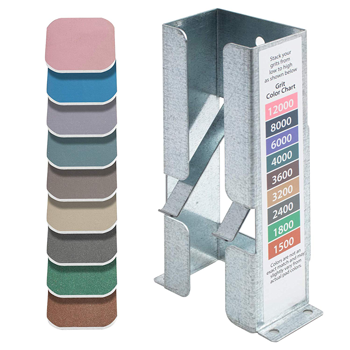 This unique dispenser accepts 2" x 2" Micro-Mesh abrasive pads Specifically designed for the Micro-Mesh 2" x 2" nine pack of abrasives, this dispenser has color coded grit chart to help keep your pads in order. This works wonderfully well when step sanding your finished turning project. Simply cycle your way through the grits by pulling the next grit from the dispenser and placing the used one back on top. The dispenser is made from corrosion resistant galvanized steel which also makes it extra durable for the workshop environment. It can be mounted flat against a wall or it can be mounted to a table top. Of course you don't have to mount it at all. 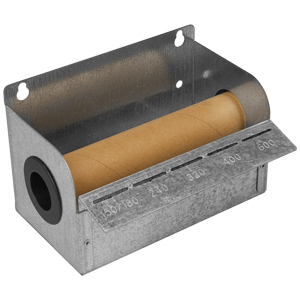 The dispenser measures 6" tall, 3-1/4" wide (at base tabs), 2-7/16" wide (actual abrasive holder) by 1-1/2" deep. 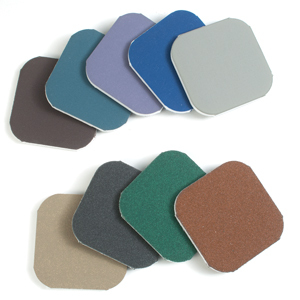 The colors on the grit chart and the colors of Micro-Mesh abrasives may vary slightly due to color shifts in the manufacturing process. 1 ea. Galvanized steel dispenser. 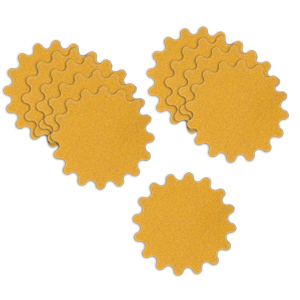 Sand with these Micro Mesh Soft Touch Pads and get a remarkable hi-gloss, scratch free shine on your plastic or resin impregnated pen blanks. Works great on surfaces that include stabilized woods, acrylics and solid surface materials. 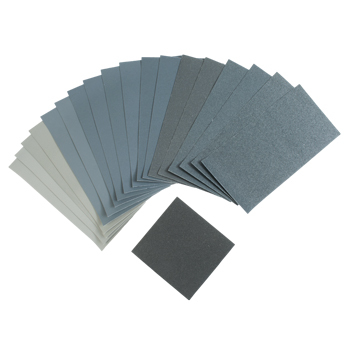 The kit includes nine color coded foam backed abrasive pads ranging from 1500 to 12,000 grit and detailed instructions. Long lasting and easy to use. 1 ea. 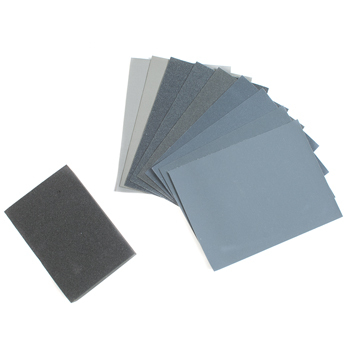 1500, 1800, 2400, 3200, 3600, 4000, 6000, 8000, and 12000 grit pads. 2 ea. 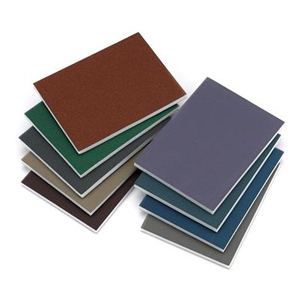 1500, 1800, 2400, 3200, 3600, 4000, 6000, 8000, and 12000 grit pads. Used for anything from polymer clay to porcelain, plastics and more, these polishing swabs are ideal for getting into tight spaces, or for use in any other place where a small swab can reach. Perfect for small touch-ups on glossy finishes, the Touch-up Stick is padded so it flexes and conforms gently to the work. We rely on these in our own shops for finish touch-ups and repairs. 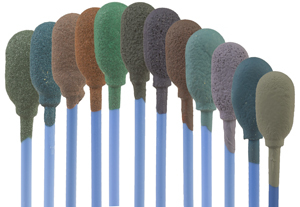 The stick includes three Micro-Mesh grits on a padded core (5-3/4" x 1/2" size): 2400, 4000 and 12000-grit. 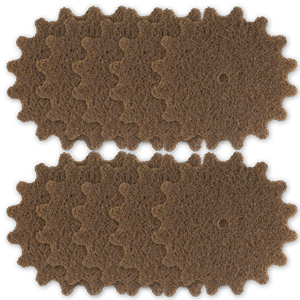 Micro-Mesh™ features tiny abrasive crystals on resilient cloth-backed latex. These gentle "cushioned" particles generate less heat and friction than ordinary finishing papers, don't load up as quickly, and last up to 15 times longer. Use Micro-Mesh with soapy water to produce a scratch-free mirror shine on finishes and pick guards. Great for repairing scratches and over spray. Use them for polishing frets, too. 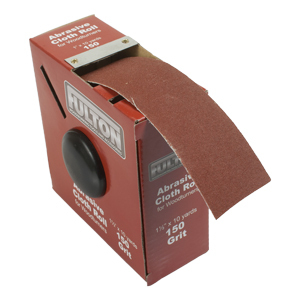 1" x 20' Rolls of sandpaper Convenient packaged in a dispenser box to make choosing just the right amount of sandpaper quick and easy. 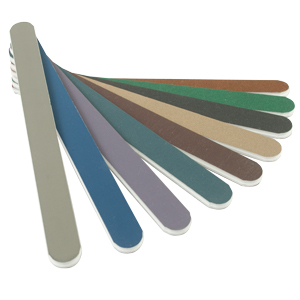 This makes it perfect for sanding spindles, pens or anything small strips of sand paper are needed. 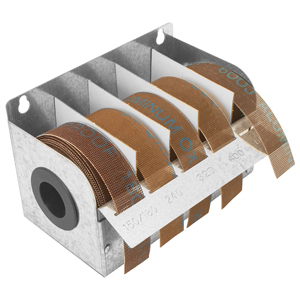 The strips are made from aluminum oxide.